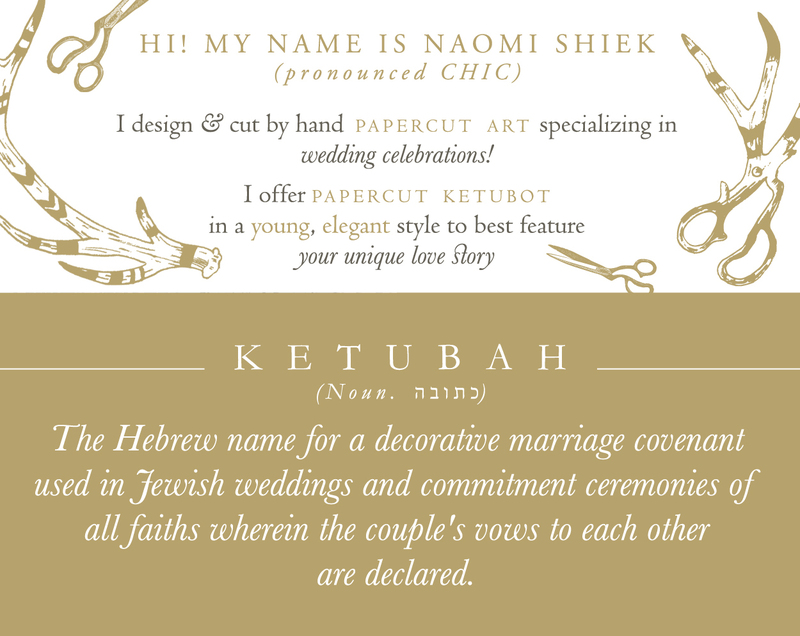 My most requested design to personalize & recreate is the TWIN TREES ketubah, which seems to have really struck a chord with couples. The one that started it all however, was back in May 2013, for a bride who wanted a bigger cherry blossoms ketubah than the one I had listed in my shop. 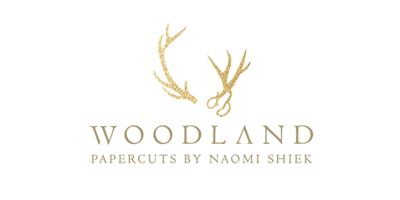 It was also my first time layering more than one papercut. 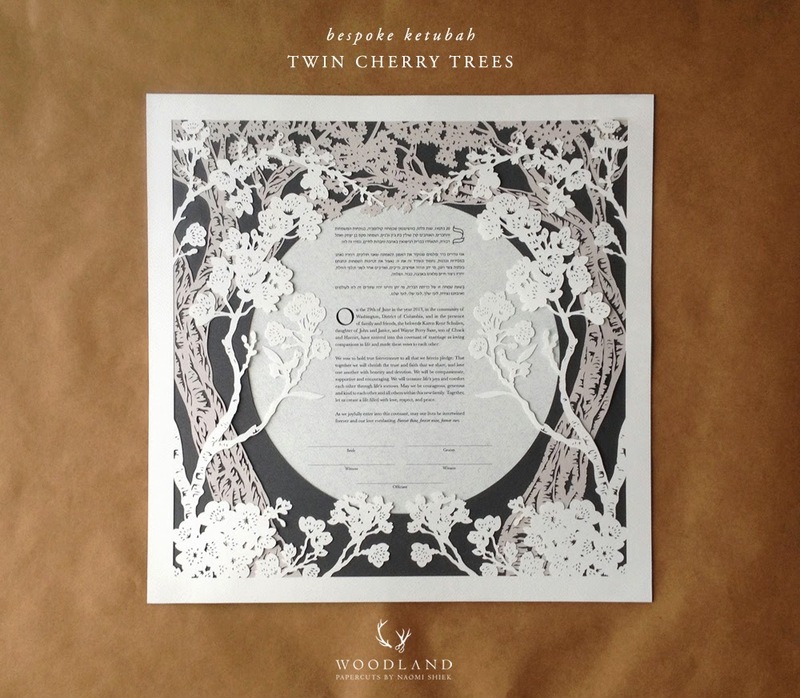 Whenever I see photos of this ketubah, I think of a moonlit forest with owls and a whispering brook where an intimate ceremony takes place. I'm a romantic sometimes, alright? A handmade papercut, the ketubah is 16X16 inches big, with my pearl grey, steel grey, and charcoal papers.